Although movies are a fun way to celebrate the holidays, nothing makes a lasting memory like curling up with your kid(s) and a good book. So put on a virtual fire, curl up on the couch with a soft comfy blanket and read to your kids some fun and classic tales. Great classic tale with beautiful paintings by Eric Puybaret. This book comes with a CD, performances by Peter, Paul and Mary. If you don’t know who they are, go ask your mom…she’ll enlighten you. You can never go wrong with Dr. Seuss. 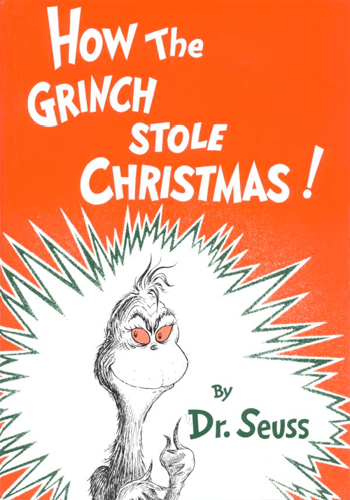 Although the movie is a wonderful adaptation of this book, we still read this every year. It is a great way to teach kids what the holidays are all about….the people we love. This book has a nice twist on the classic tale with wonderful illustrations by Nathan Hale. 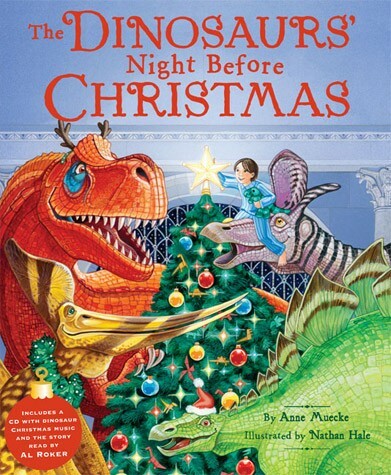 It is not only a visually appealing book for kids, and adults, but the story is a fun and fantastical tale . 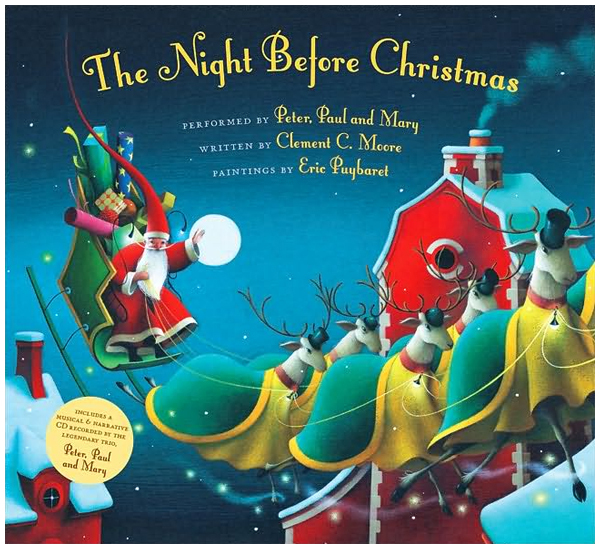 The book comes with a CD with performances of classical Christmas songs with a twist and the story read by Al Roker. 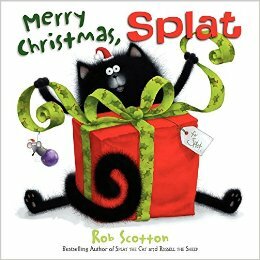 Splat the crazy cat tries to stay up to see if Santa really exists. We like to read this story with funny voices for all the characters, but even without improvising, it is still a very comical story. 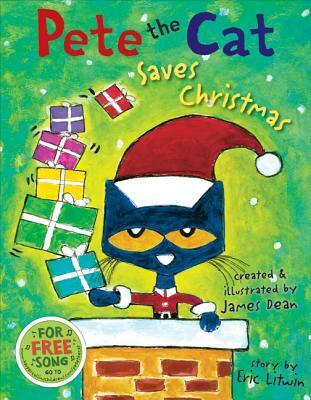 A funny story how Pete manages to save Christmas by being the selfless cat. 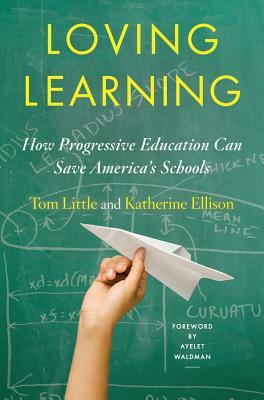 It is a lovely tale that teaches kids about thinking about others, even on a holiday with soon many toys to be had. 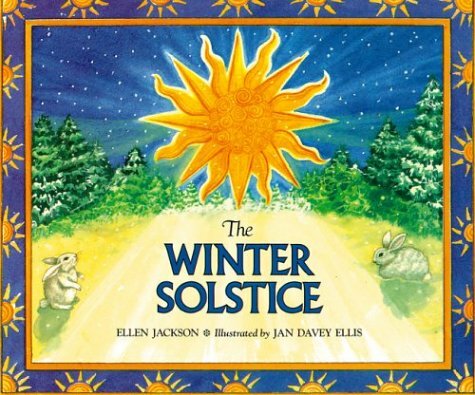 A great book to explore how various cultures around the world celebrate the season. It looks at Native American, Roman, Celtic and many more. You’ll be surprised at how many of these traditions are still celebrated today.